NEW YORK, April 12, 2019 /PRNewswire/ -- Strongly supported by the growth of oil & gas and power generation industries, the global demand for rotating equipment repair is likely to remain steady over the next few years. Rotating equipment play a vital role in different end-use industrial applications and require inspection, maintenance, repair, and other regular services. With the demand for rotating equipment on a stable growth trajectory, the consumption of rotating equipment repair services and maintenance will also remain steady through 2028, according to a Persistence Market Research study. The rotating equipment repair market is expected to witness an increase in the demand for rotating equipment repair services from oil & gas and power generation industries. The report anticipates global market revenue to surpass the valuation of US$ 25 Bn by 2028 end. Based on the type of equipment, the rotating equipment repair market has been segmented into pumps, centrifugal compressors, agitators & mixers, and turbines. Rotary equipment are used in numerous end-use industries such as oil & gas, power generation, mining, HVAC, water & wastewater treatment, general manufacturing and other industrial purposes. The growth of end-use industries is expected to boost the growth of the rotating equipment repair market during the forecast period. The oil & gas industry has been growing at a healthy rate after the price downfall, and this growth is expected to create demand for high pressure pumps and other rotating equipment repair services for upstream, downstream and midstream operations. Furthermore, the ever-increasing demand for electricity from industries and the residential sector is expected to lay a strong base for the robust growth of the rotating equipment repair market during the forecast period. Both the industries will reportedly account for more than 55% share of the total market revenue by the end of projection period. On the basis of nature of service, the rotating equipment repair market has been segmented into condition monitoring & reliability services, reverse engineering & upgrade, repair, refurnish and retrofit, installation and commissioning and component & operating software upgrades. 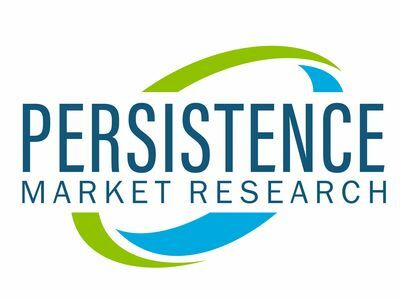 The repair, refurnish, and retrofit segment is expected to be a prominent segment in the global rotating equipment repair market and account for nearly a 37% share in the total absolute dollar opportunity created during the forecast period. In 2018, South Asia registered a lucrative value share in the global rotating equipment repair market, which is anticipated grow at a healthy CAGR over the forecast period. The region is expected to register prominent growth in the rotating equipment repair market owing to increasing demand from power generation and manufacturing industries. Latin America is projected to observe promising growth in the rotating equipment repair market during the forecast period. Furthermore, besides oil & gas industry, the growth of water & wastewater treatment industry – especially in Europe – is expected to supplement the growth of European rotating equipment repair market during the forecast period. Long-Term Outlook: The global rotating equipment repair market is projected to create a total absolute dollar opportunity worth US$ 9.4 Bn during the forecast period. The South Asia region is anticipated to register prominent growth in the rotating equipment repair market with a CAGR of 6.5% during the forecast period.